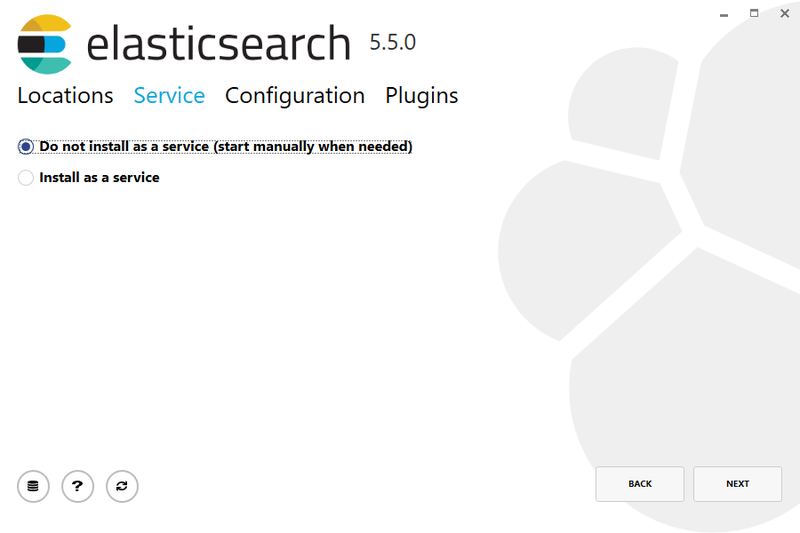 Once we have Java set up, we can then download and run Elasticsearch. 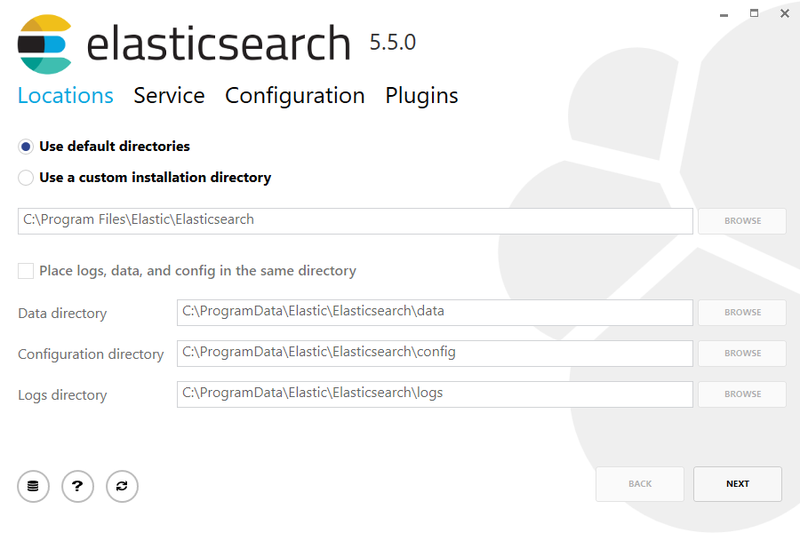 The binaries are available from www.elastic.co/downloads along with all the releases that have been made in the past. For each release, you have a choice among a zip or tar archive, a DEB or RPM package, or a Windows MSI installation package. For simplicity, let’s use the tar file. For Windows users, we recommend using the MSI Installer package. The package contains a graphical user interface (GUI) that guides you through the installation process. 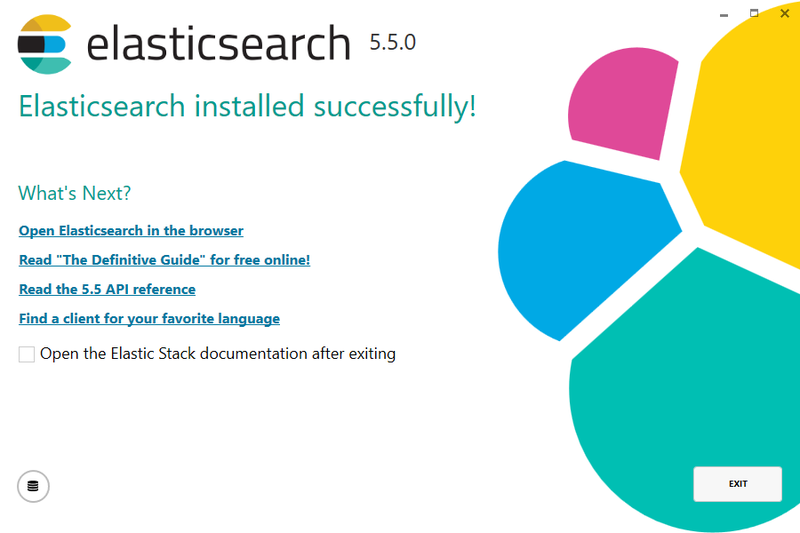 First, download the Elasticsearch 5.5.3 MSI from https://artifacts.elastic.co/downloads/elasticsearch/elasticsearch-5.5.3.msi. Without going too much into detail, we can see that our node named "6-bjhwl" (which will be a different set of characters in your case) has started and elected itself as a master in a single cluster. Don’t worry yet at the moment what master means. The main thing that is important here is that we have started one node within one cluster. Also note the line marked http with information about the HTTP address (192.168.8.112) and port (9200) that our node is reachable from. 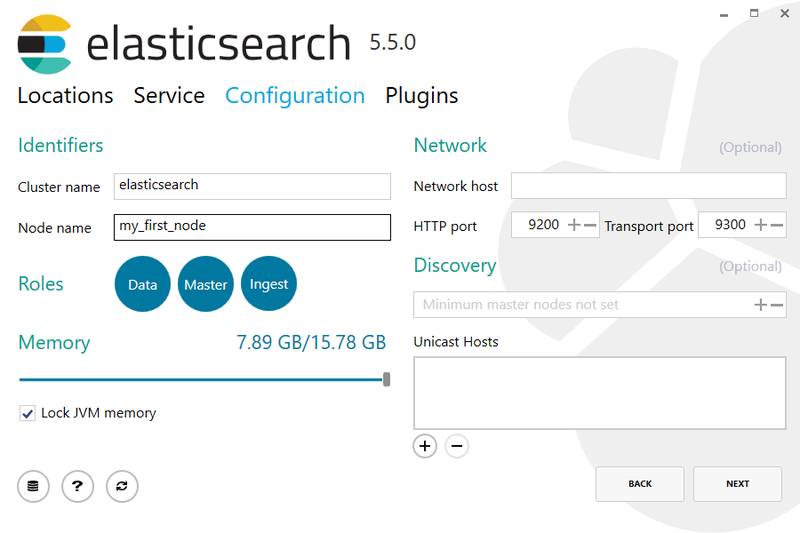 By default, Elasticsearch uses port 9200 to provide access to its REST API. This port is configurable if necessary.